Create custom cards perfect for invitations, announcements and other mailings. Sheets perforated for easy separation. It's easy to Just Click & Create™ with Avery® Templates in over 100 popular software programs. High-quality heavyweight stock has a gloss coating for exceptional photo reproduction, brilliant graphics and sharp text. Create custom cards perfect for invitations, announcements and other mailings. 8-1/2 x 11 sheets perforated for easy separation. 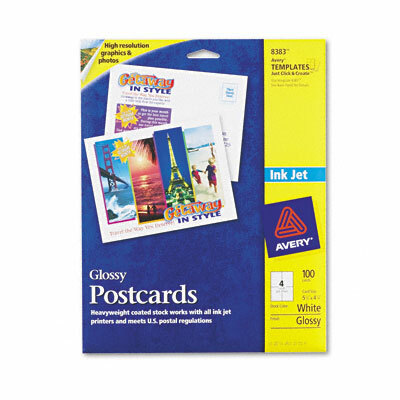 Easy to use with free Avery templates and software. High-quality heavyweight stock has a gloss coating for exceptional photo reproduction, brilliant graphics and sharp text.